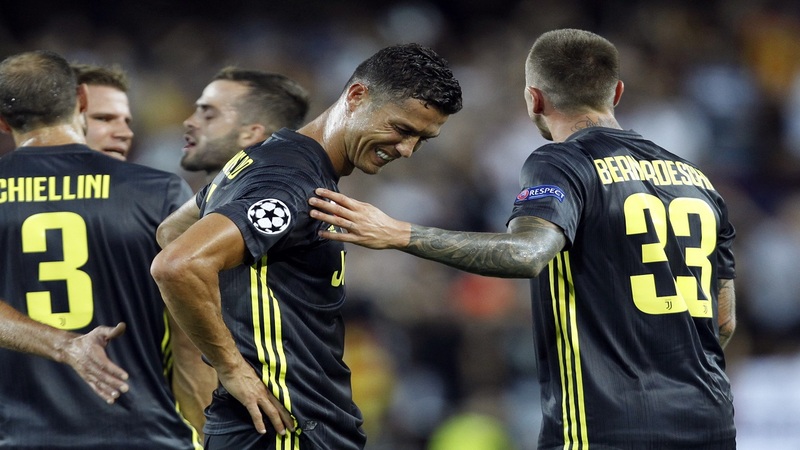 Juventus forward Cristiano Ronaldo is consoled by teammate Federico Bernardeschi, right, after receiving a red card during the Champions League, group H football match against Valencia, at the Mestalla stadium in Valencia, Spain, Wednesday, Sept. 19, 2018. Cristiano Ronaldo was supposed to be the missing piece in Juventus' bid to win the Champions League. 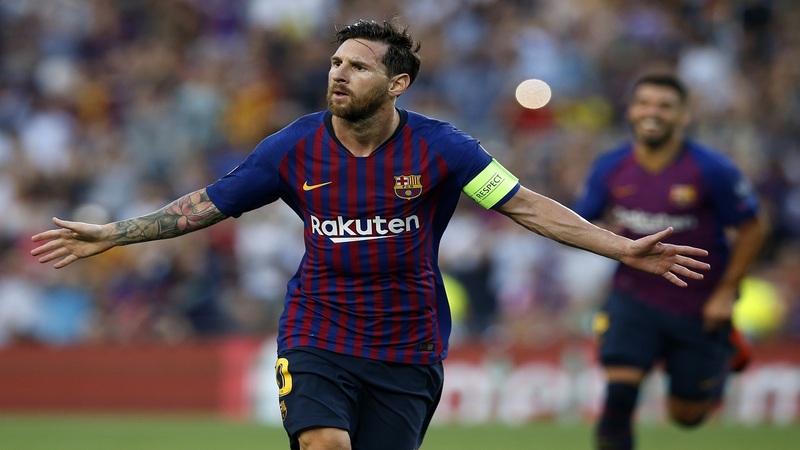 But his first match in the competition for his new club lasted less than half an hour on Wednesday as he was sent off after appearing to pull at an opponent's hair. Juventus still went on to win 2-0 at Valencia, thanks to two penalties. Juventus coach Massimiliano Allegri insisted it shouldn't have been a red card, and lamented the fact that video technology has yet to be introduced into the Champions League, as it has been in Serie A. VAR was also used at the World Cup in Russia this year. "I'll only say that in this sort of occasion VAR would help," Allegri said. "It's disappointing because now we'll lose him for a few games and instead if there had been VAR it would have been seen that it wasn't a sending-off offense." Ronaldo was dismissed in the 29th minute after tangling with Jeison Murillo. After Murillo went down inside the area, the Portugal forward gestured for his opponent to get up, then put his hand on the Valencia defender's head and appeared to tug his hair. Referee Felix Brych showed Ronaldo a straight red card after discussing with his assistant behind the goal. Ronaldo looked baffled and kept professing his innocence and was clearly distraught as he left the pitch in tears, still shaking his head. Juventus have won Europe's premier club competition twice but the last time was in 1996. The club has lost five finals since then and hoped that signing Ronaldo, who has won the competition five times, it could go one step further. The Bianconeri has won the Serie A title for the last seven seasons — and the league and Italian Cup double for the past four — but has struggled to transfer that domestic supremacy to the European stage, although the club reached the final twice in the past four editions. Despite playing more than an hour with 10 men at Valencia, Juventus eased to victory. Mario Mandzukic and Sami Khedira had already missed glaring opportunities before Ronaldo's dismissal and, after a shaky few minutes following the red card, Juventus got back into its stride and took the lead on the stroke of halftime. Joao Cancelo hit the crossbar and was then fouled by Daniel Parejo as he tried to get on the rebound. Miralem Pjanic struck the penalty into the bottom right corner and did the same six minutes after the break when Brych awarded Juventus another spot kick after Murillo brought down Leonardo Bonucci. Despite the numerical advantage, Valencia posed little threat going forward but almost grabbed a consolation in stoppage time when it was given a penalty of its own. But Wojciech Szczesny parried Parejo's spot kick, which was awarded after Daniele Rugani was adjudged to have elbowed Gabriel Paulista.